I have never been the type of person who enjoys exercise. I wish I was! I would much rather cuddle up on the couch with a good book than be outside getting active. Up until the past few years my lack of activity wasn't really an issue. I was really lucky in that I didn't seem to put on much weight. And then I did. Don't get me wrong, I am still within the "healthy range for my height," according to my doctor, but I'm not necessarily in the range where my clothes aren't either too tight or really uncomfortable. It doesn't help that a sweet second grader at my school asked me if I was pregnant (totally the dress I was wearing and not the little pooch I've been sporting, right?). I have gotten to the point where I get winded when I walk upstairs with my kids. Not good. So now is the time to get out there and get active. Warm weather is fast approaching (who am I kidding, this is Texas - HOT weather is fast approaching! ), so it's time to think about warm weather wear! Shorts....I needed some new shorts, so I picked up a few pair from JCrew (25% off with code SUMMERLOVE). The scalloped hemline on these shorts from Loft - love! I may have to pick up a pair! I picked up this white skirt from JCrew Factory about a month ago and it finally arrived (it was backordered, but it's in stock now!). I was surprised when I got it because it has two layers of lining so there is no concern of it being see-through. I wore it to dinner and a birthday party on Saturday night and got lots of compliments! Tees and tanks...JCrew Factory always has the cutest graphic tees. For basic tees you can't go wrong with Target. 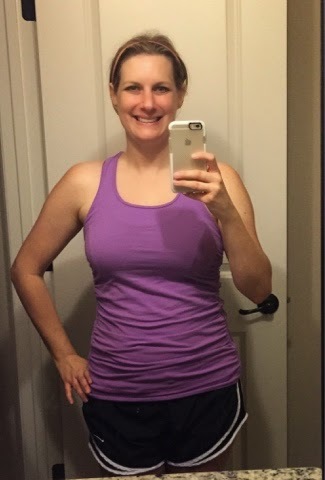 In the past I've gotten my tanks from Gap, but it looks like the ribbed ones I used to get have been replaced by the modern tanks, which have mixed reviews. They do have a ribbed version in the Pure Body Essentials line, but it looks a little thin (more of a sleeping tank). Dresses....I picked up a black maxi dress from Gap during a recent sale (don't they always have a sale? ), and when it arrived and I realized how comfortable and cute it was, I scored a few more on MAJOR sale! The black dress is sold out, but these are very similar (mine isn't linen, but it has the same high-low hemline). I also picked up this dress with a reward. I still haven't decided what I think of it - I usually wear a small or medium depending on how roomy it is up top, but for this dress I had to order an extra small and it still seems a little boxy (and very short!). I got a really good deal on it so I decided to go ahead and keep it (if nothing else I can wear it as a swimsuit cover-up). I had another Banana reward, so I ordered this dress. I love how loose and flowy it is! After reading the reviews, I decided to order a small. I was worried because I have a pretty big chest, but the small fits perfectly. Accessories....my Louis Vuitton Neverfull is probably my favorite summer accessory! It was actually a gift from Michael last year when I didn't win Teacher of the Year (that's okay, one of my best friends won, and I got my purse!). It's perfect because I can throw everything inside and go. I may need to find some sort of an organizer, though, because it seems that things get lost in there! I love big earrings on other people, but for me the simpler the better. I stick with my diamond studs or any of my Tiffany ball earrings. I also added this watch from Fossil to my collection - I thought the rose gold and white were perfect for summer! Shoes....I wore my Butter sandals from Reef for years, but then they had to go and "update" them (I don't know why it's called an update, they didn't improve them at all, they ruined them!). 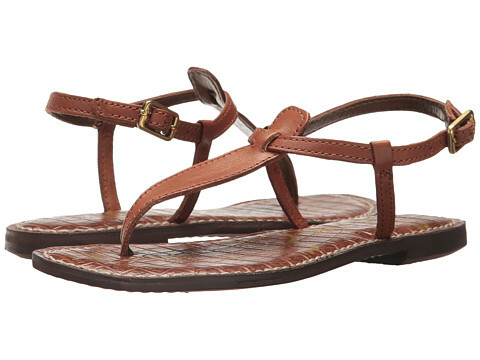 For everyday casual, I wear my Reef flip flops, but if I want to dress it up a little I go for my Sam Edelman sandals. And to top it off (sorry, bad joke) I got a fun new hat. I'd been wanting a fedora, this one from JCrew Factory seemed perfect.